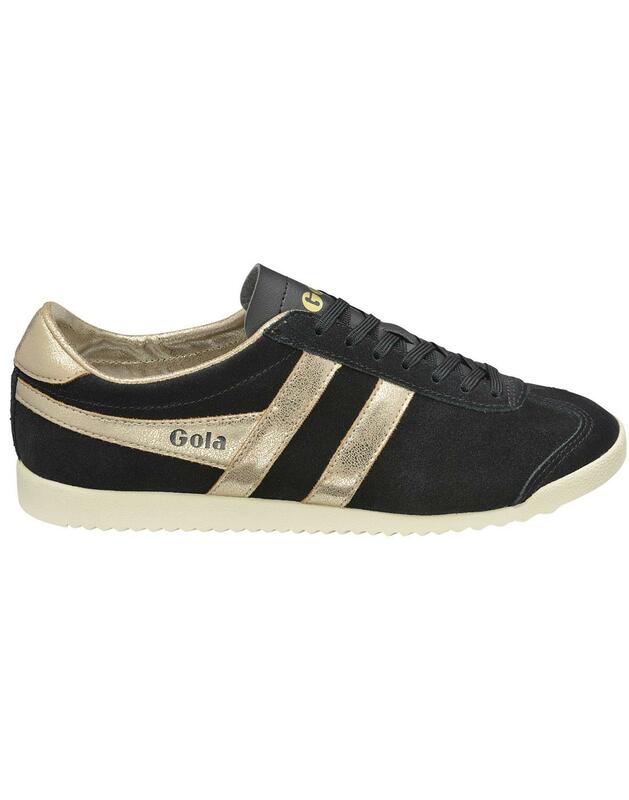 Gola 'Bullet Mirror' Women's Retro 1970s suede trainers in black with a stylish reflective metallic gold wingflash and heel counter. A cool Indie take on the traditional Retro Bullet silhouette (originally launched in 1976!). Soft black suede upper complimented by the shimmering gold trims. The Gola Bullet Mirror is a low profile trainer with leather signature tongue, slimline contrast outsole and tonal lace fastening. 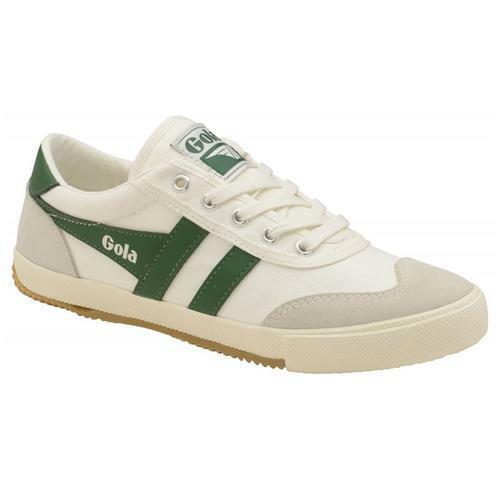 A contemporary take on a Retro classic - Gola 'Bullet Mirror' Trainers. 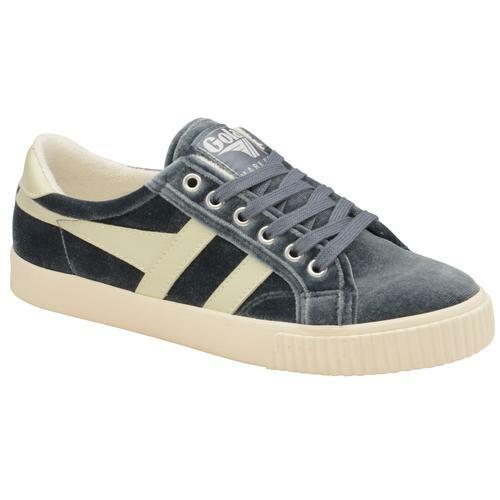 - Gola 'Bullet Mirror' women's retro 70s suede trainers in black. 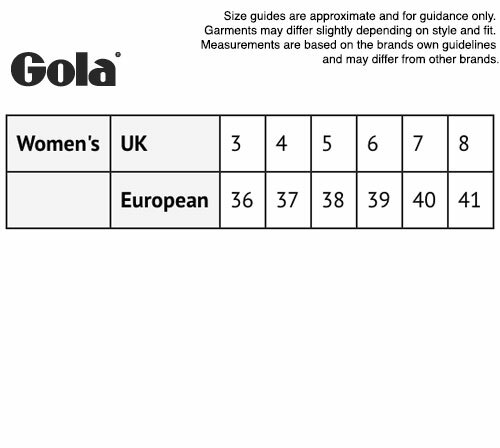 - SKU: CLA189BY2 Gola Bullet Mirror Trainers.